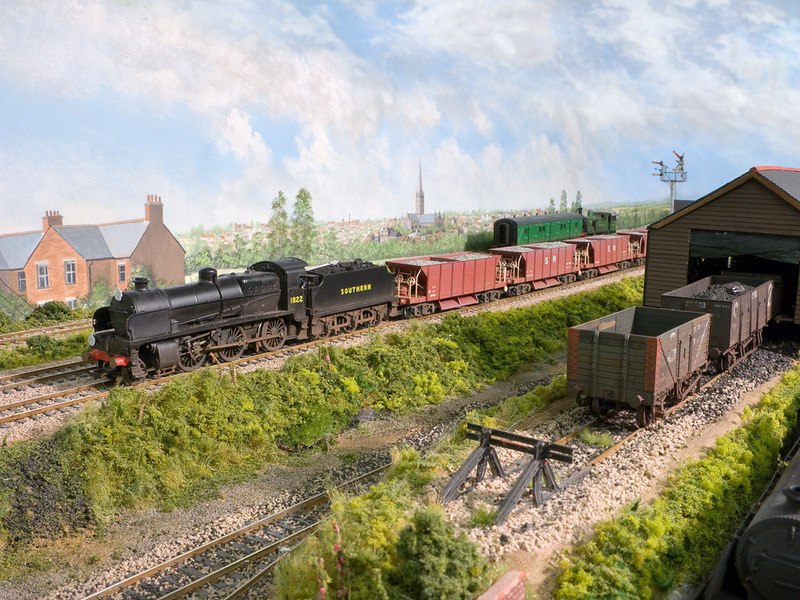 One of my signature trains on Fisherton Sarum is a rake of Southern Railway Diagram 1774 40 Ton hopper ballast wagons and ex SECR ballast plough brake van. These hoppers were converting from Lima “Sealion/Seacow” a long time before either Bachmann or Hornby produced their own version of the later BR built hoppers. 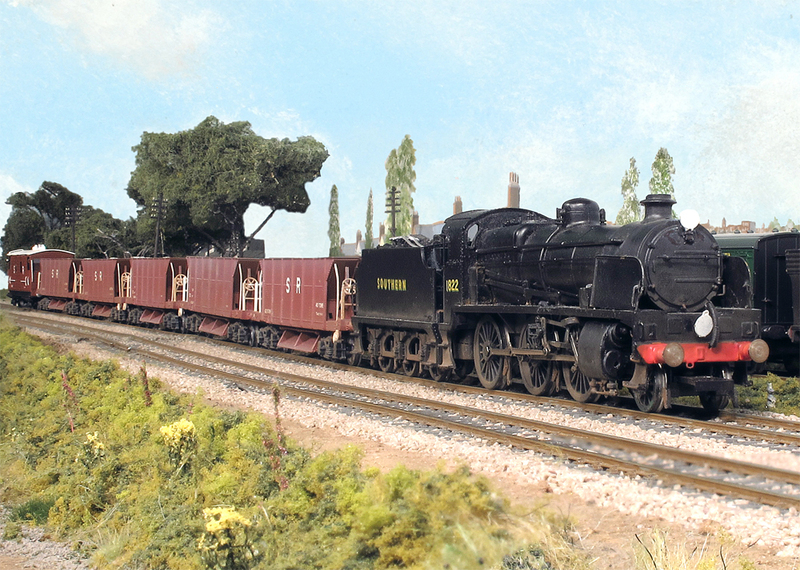 The Bachman model being the riveted style, rather than the Hornby welded version, could now be used for this conversion. 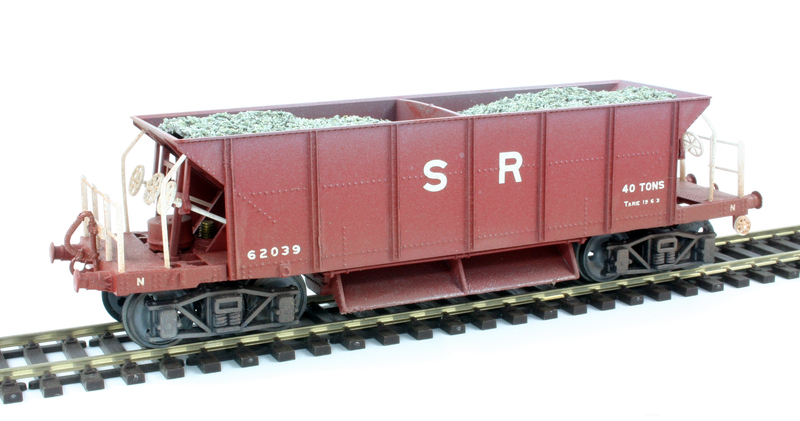 Bogie 40 ton hopper wagons were first introduced by the LSWR in 1903/4, built by G & R Turner of Nottingham. This led to a number of versions prior to the introduction of the SR dia 1774 which along with SR dia 1775 that had cast style bogies, were the forerunner of the later BR built Walrus, Sealion and Seacow hoppers. Variations include brake equipment, the angle of the hopper sides, hardly visible to the naked eye, and some very minor body differences which I am more than happy to accept with a very small amount of modellers licence as life would be too short otherwise. SR Diagram 1774 40T Ballast Hopper in pre-1936 livery. For my conversions I used Diamond bogies available from Ratio for these models along with Keen Maygib disc wheels. These ratio bogies provide a reasonable representation of the type fitted to the SR dia 1774 if I was doing this conversion again I would utilise the Cambrian Kit bogies specific for the Dia 1774 and they also produce the correct cast style bogies to allow the SR dia 1775 to be represented. Cambrian also produce complete kits for these two prototypes but they are not the easiest of kits to build! 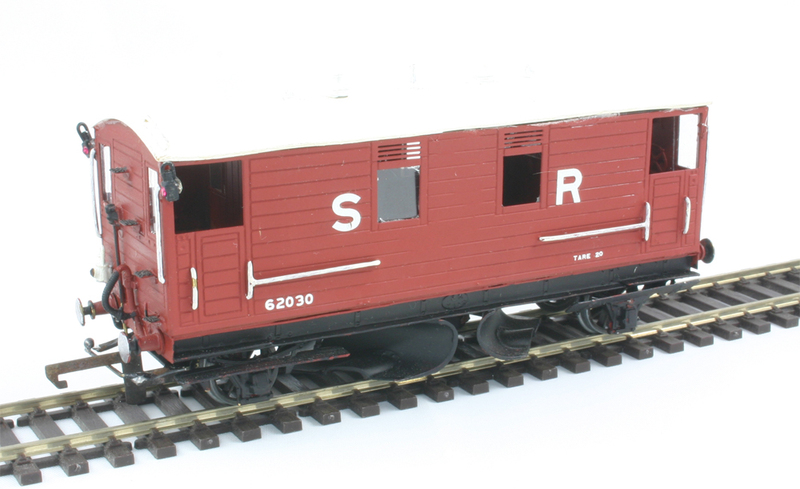 SR Diagram 1774 40T Ballast Hopper in post-1936 livery. Note the smaller SR lettering. The ex SECR Ballast Plough built from a old Jidenco etched brass kit. Apologies for the white roof against a white background, weathering is still needed. I painted using an aerosol of Halfords red oxide plastic primer which is of course the correct final colour as these hopper wagons were allocated to the engineers department they were painted in red oxide with black under frames. As some of the SR dia 1774 hoppers were introduced in 1935 some examples were seen with the pre 1936 style large 18” SR initials . Eventually these were replaced by the post 1936 smaller 4” style lettering in the bottom right hand corner. The N1 once again on the Meldon turn heads west passing the Fisherton Sarum shed. occasionally this turn sees a Maunsell S15 or Drummond 700 locomotive. In common with all Engineers Department wagons the prefix E D to the wagon number was used. HMRS ‘Pressfix’ transfers were used to produce models in both Pre and post 1936 lettering style. Weathering was applied with rust highlights, stone dust colour spray from the top and track colour from the base to give the finish I required.